Episode Notes: Yep. Here we are, DK, Big B, and Choo Choo, on a Tuesday night. Tonight, DK gets a new fridge and is angry at the world. Choo takes his daughter for a piercing. A guy hijacks a plane to serenade his girl, and Choo takes acid in Spain. That's all I have you need to listen. 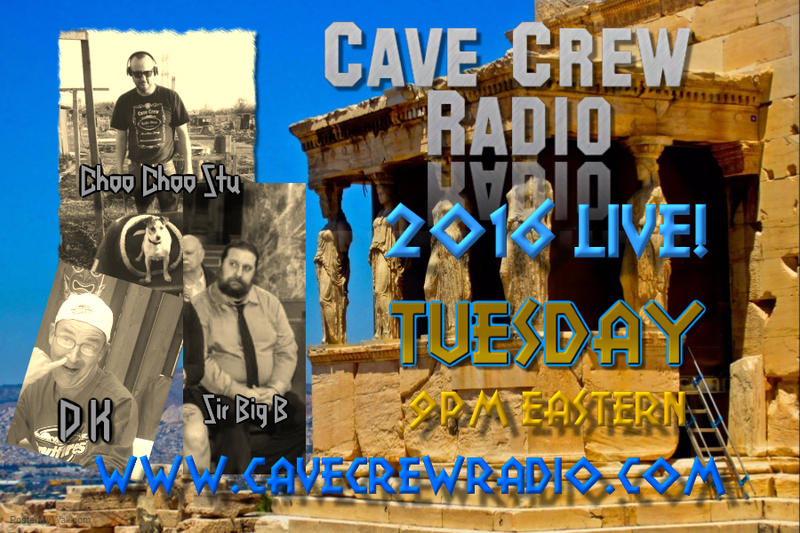 We are live every Wednesday night at 9pm eastern on www.cavecrewradio.com please send us some money. We have a donate button.